The lifestyle at Saranac Village focuses on keeping residents engaged in a wide range of fun activities, from entertainment to enrichment. The goal is to help our residents be as active as they can and want to be. And, aside from organized activities, our community houses a great room, a game room, an exercise room with machines, an arts and crafts room, and evening movies on a theater-style large screen so that residents can do what they want when they want. 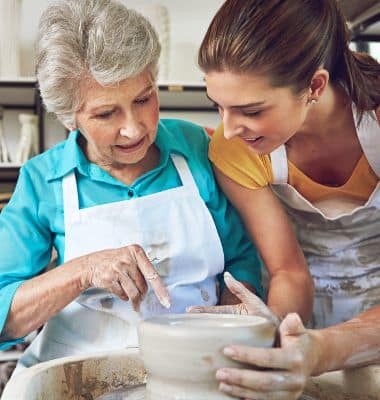 Whether it’s a lifelong passion with friends or a new skill, our residents will have diverse and constant opportunities to engage with others, enjoy themselves, and continue to grow as a person. Things to do in Saranac Lake outside of our community. Lecture series and workshops through our lifelong learning programs and Road to Retirement Series, book clubs and discussions around current events. Walking groups, chair yoga, group exercise classes, strength training and gardening. Computer and tablet instruction including assistance with email, Facebook, Internet use and Skype. Parties, seasonal events, movies, bridge, bingo, group word games and trivia nights. Local restaurants, grocery and retail stores, attractions and community events. Religious services, non-denominational bible study, discussion groups, meditation and transportation to religious. Reaching new heights…Learning is for Life! 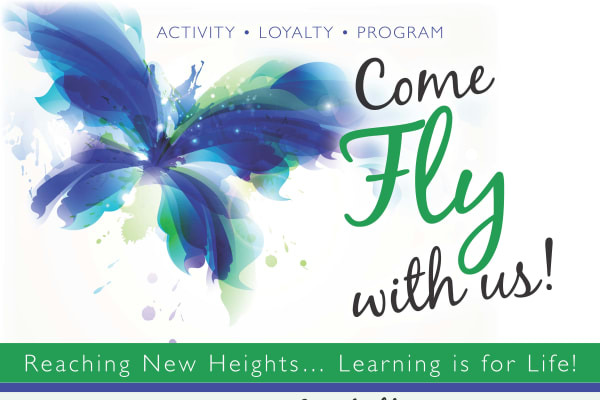 As part of our commitment to offering innovative, fun and educational programs the Come Fly With Us Frequent Flyer Program was created. With loyalty cards for each resident and awards at the end of each month for those with the most participation, our program encourages engagement and rewards participation. Programs include a guest lecture series, singing groups, book clubs and more.